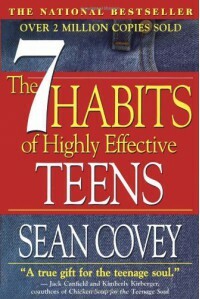 The 7 Habits Of Highly Effective Teens - Fangirls Ahead! Don't ask. My parents just plopped the book in front of me and said "since you like reading so much, why don't you read this?" Not exactly revolutionary stuff that will change my life forever, but it was interesting enough.